It is a sad day for baseball and the city of San Francisco as Willie McCovey passed away at the age of 80. It is not known at this time as to how he passed away. Debuting for the San Francisco Giants in 1959, he would make an immediate impact going four for four his first game, against future Hall of Famer, Robin Roberts. Amazingly, that game was on July 30, and he was so dominant the rest of the year that he was the 1959 Rookie of the Year. So much was expected of McCovey but over the next few seasons it appeared the man they called “Stretch” was going to be a fluke. McCovey was a First Baseman, but Orlando Cepeda played there and was hesitant to move positions and McCovey was moved to the Outfield where he struggled. His bat also left him and he never seemed to have his groove again until 1963. Saying all of this, he was just a great power hitter that in 1962 he hit 20 Home Runs in just 262 Plate Appearances and he was a help to the Giants in winning the National League Pennant. 1963 would see him have a good season, as he would be chosen for the first of six All Star Games and led the NL in Home Runs. 1964 saw another regression, but from 1965 to 1970 he would never have less than 30 Home Runs and his second and third Home Run Title highlighted this where in 1968 and 1969 he blasted 36 and 45 dingers respectively. He would also win the RBI Titles those seasons and he was the leader in Slugging and OPS from 1968 to 1970. 1969 was by far the best of the lot as not only did he have those incredible power numbers he batted .320 and had a league leading .453 OBP en route to being named the National League MVP. Willie McCovey would play for the Giants until he was traded to the San Diego Padres in 1973. He would later play in Oakland before signing back with the Giants where he would finish out his career in 1980. He would enter the Baseball Hall of Fame in 1986 on the first ballot. 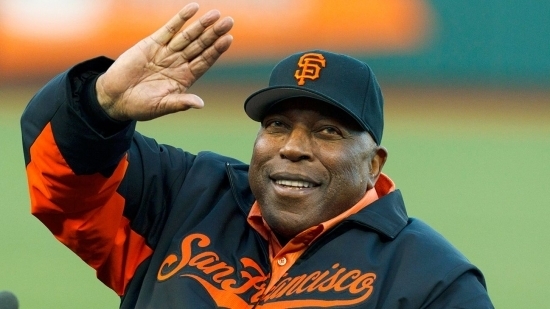 We here at Notinhalloffame.com would like to extend our condolences to the friends and family of Willie McCovey at this time.